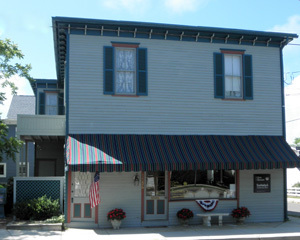 To inquire about any Cape May inn for sale on this website, please feel free to contact us. © 2011 Chris Clemans Sotheby's International Realty, all rights reserved. Sotheby's International Realty® is a registered trademark licensed to Sotheby's International Realty Affiliates, LLC. Sotheby's International Realty, Inc. is Owned and Operated by NRT LLC. Website maintained by Cape Publishing, Inc.